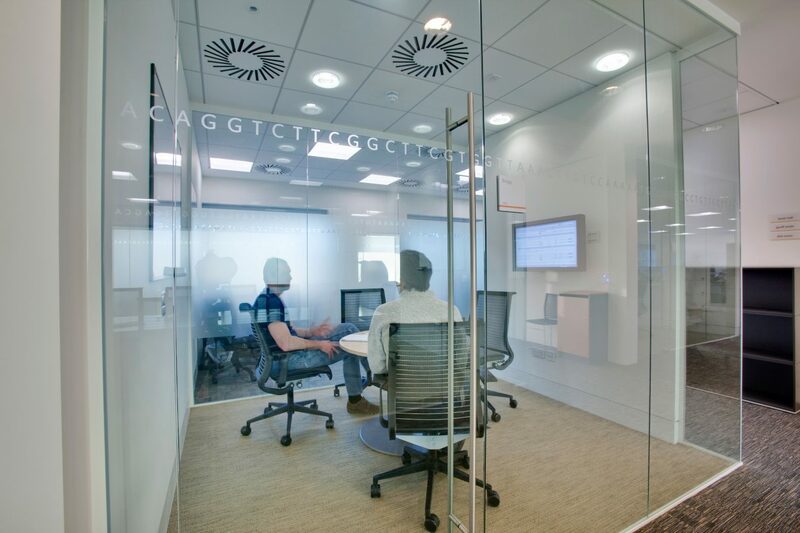 AV systems for the brand new European headquarters make an impression commensurate with a global business in a fiercely competitive Life Sciences sector? Building-wide AV Systems, which make the right impression commensurate with a global business, in a fiercely competitive Life Sciences sector. 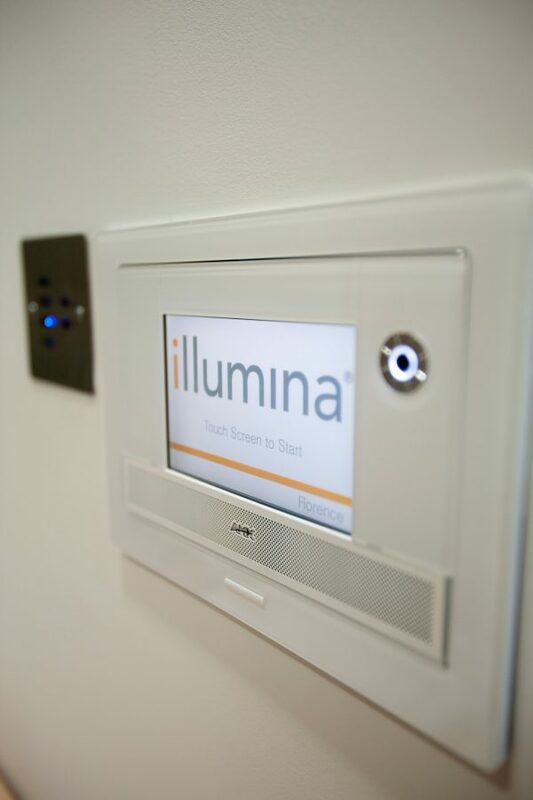 The building was designed to deliver a bespoke European headquarters for Illumina, with multiple conference suites, boardrooms, meeting and training rooms, and digital signage systems. 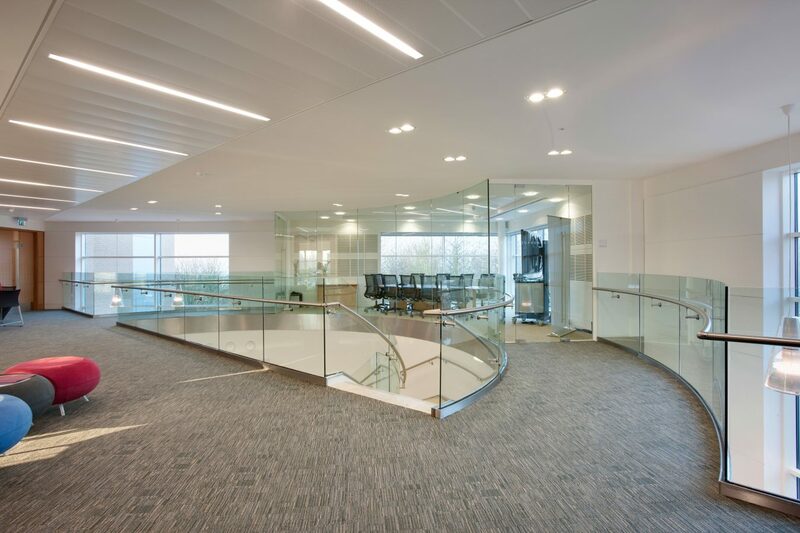 The project required us to work towards schedules and deadlines of multiple stakeholders, including the client and fit-out contractors, ISG Interior. 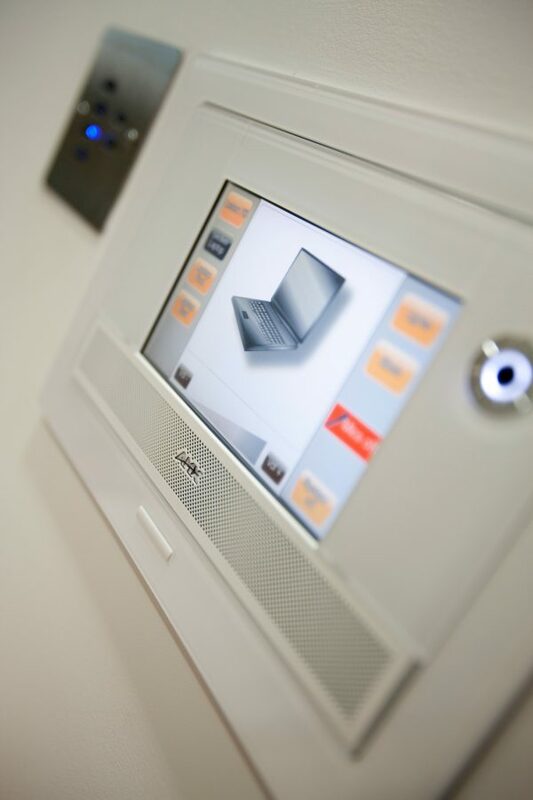 The two conference suites were fitted with AMX touch panel controls and RMS (Resource Management Suite), with the ability to join two rooms when required. 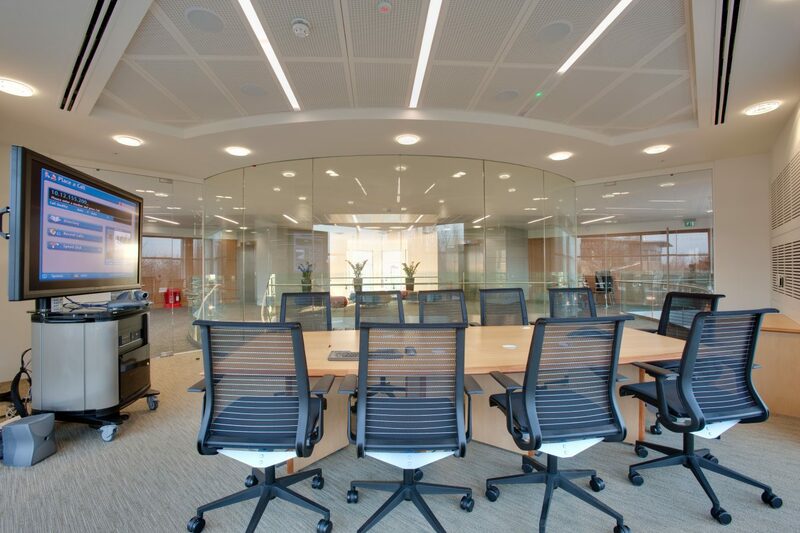 A DSP audio matrix was installed and the ceiling was fitted with projection systems, recessed electric projection screens, and multiple low impedance loudspeakers. The bespoke lectern was installed with an interactive panel to control lighting, electric blinds and fire alarm. 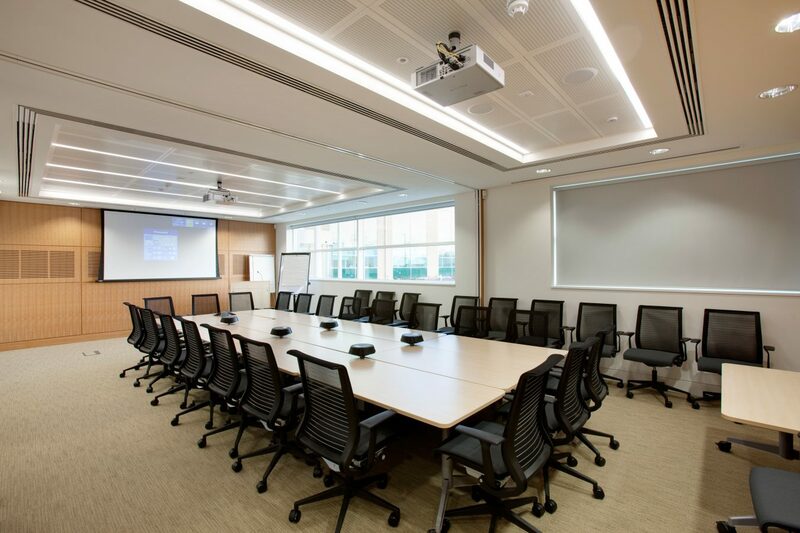 The two boardrooms were each installed with 65″ full HD commercial LCD screens and AMX control with Remote Monitoring Systems (RMS). 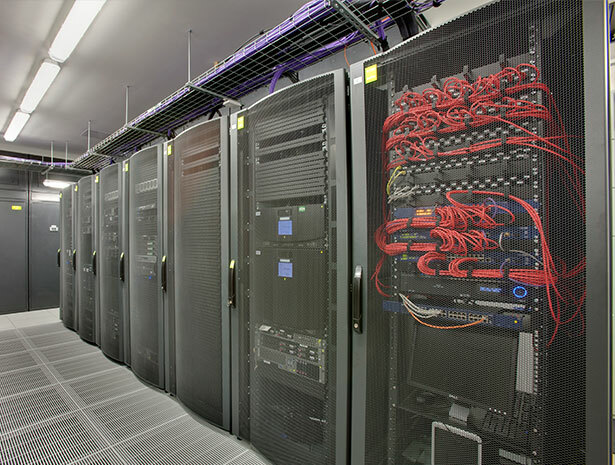 HD video conferencing infrastructure was also deployed in these spaces. 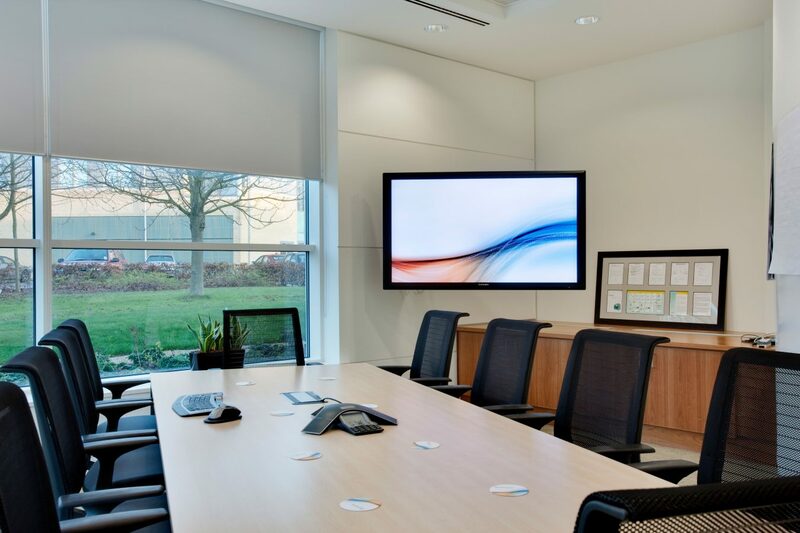 One boardroom included bespoke TeamMate furniture, whilst the main boardroom has a recessed automated motorised arm. 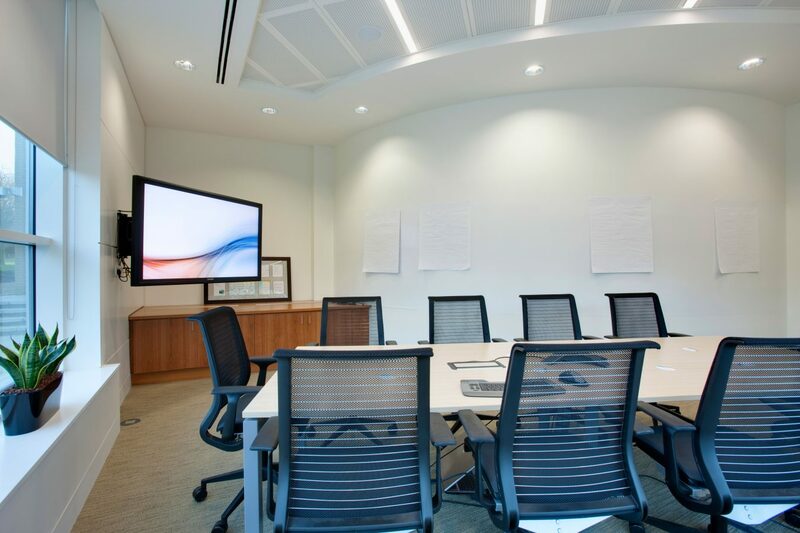 Each of the eight individual meeting rooms were equipped with push button control, commercial 42″ and 32″ LCD screens with full laptop and PC connectivity. 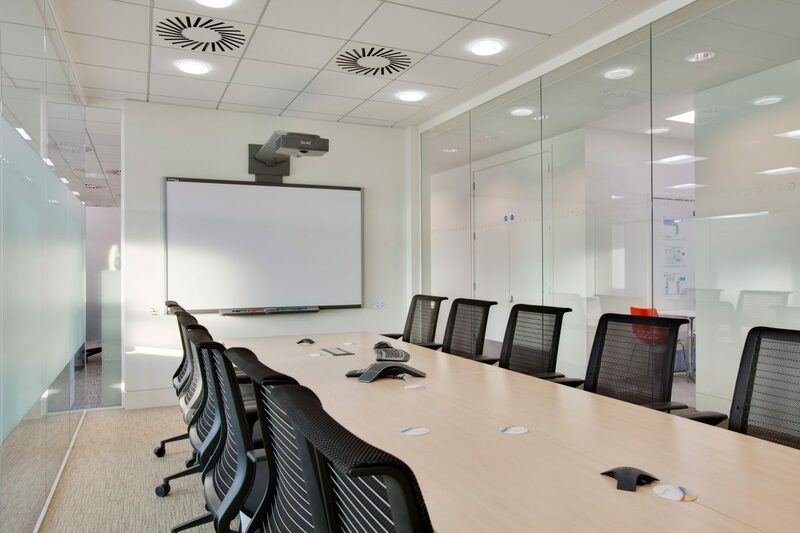 In addition, two training rooms were also installed with Widescreen SMART interactive boards with the same functionality as the meeting rooms. 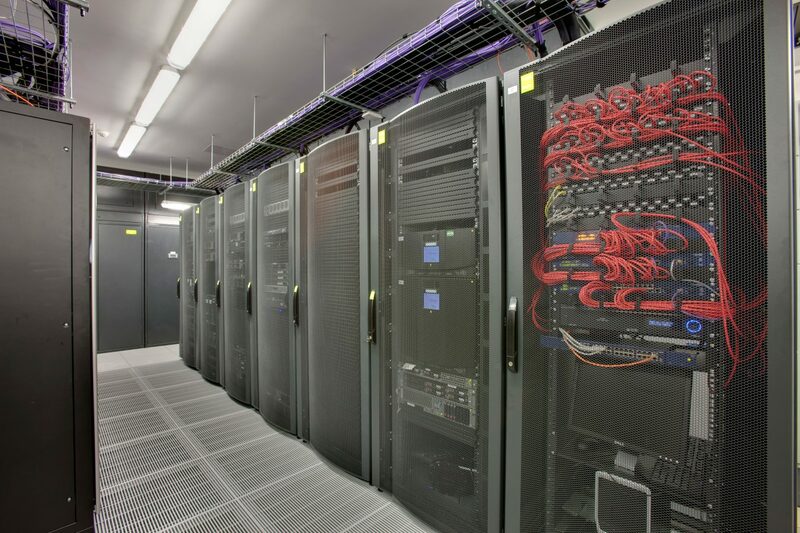 The building was fitted with a state-of-the-art signage system comprising 42″ LCD screens, CAT6 transmission equipment and ONELAN signage with Freeview TV. The installation and programming was delivered entirely in-house while meeting all deadines and the budget. Snelling were also appointed to provide ongoing maintenance, training and support. 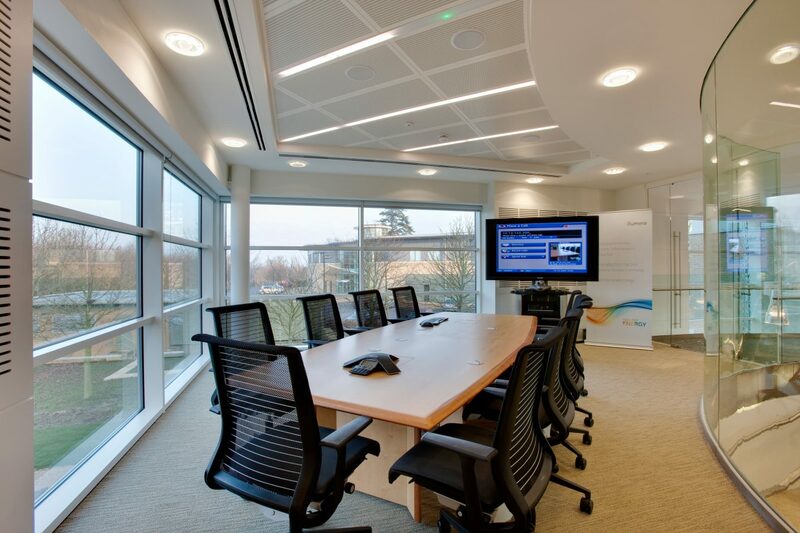 Learn more about the AV systems built for corporate headquarters of a global business. 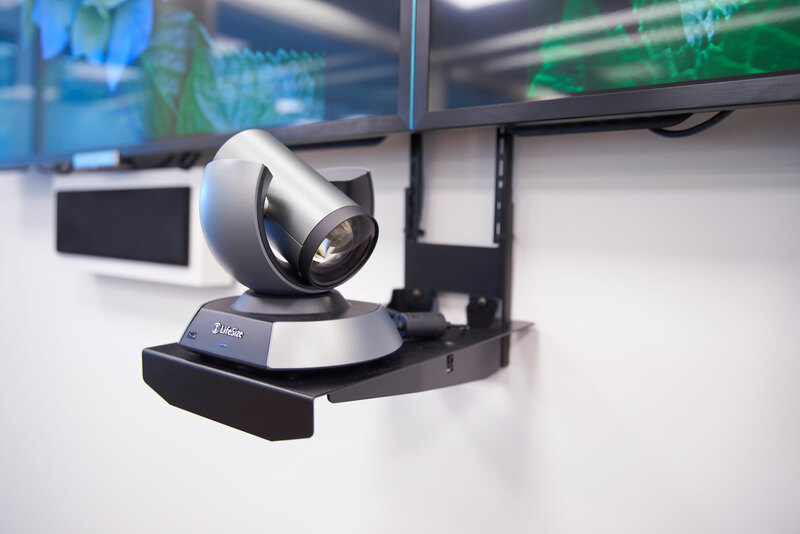 AV systems be designed for a space built for collaboration and knowledge transfer between biotech start-ups, corporate and the scientific research community? AV systems for a refurbished heritage building reflect the corporate identity of a national broadcaster, while delivering a productive workspace in a 24/7 environment?